[BATTLE OF GETTYSBURG]. HENRY JANES. Medical Director. 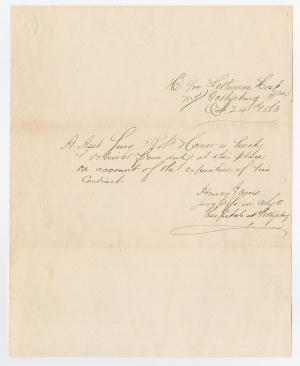 Autograph Document Signed, releasing Dr. Robert Horner from further service at the expiration of his contract. Camp Letterman, near Gettysburg, Pennsylvania, October 24, 1863, 1 p. 8 x 10 in. 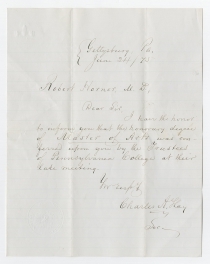 With a small group of Dr. Horner’s papers and family photographs, including a June 1875 letter informing Horner that Pennsylvania College (now Gettysburg College) has conferred an honorary Master of Arts degree. 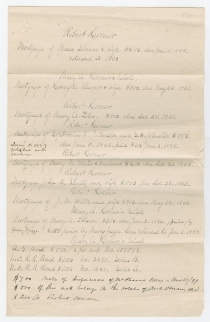 List of mortgages, inventory of stocks and bonds deposited in Gettysburg National Bank (including Pennsylvania RR, Gettysburg Gas Company, Water company, bank, etc. Two county and state tax receipts. And with small group of post-war but war related clippings, ca 1870s-1890s. 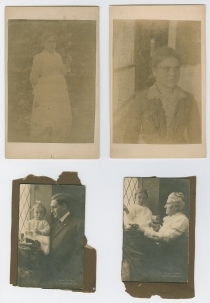 Plus photographs showing Dr. Horner and his family ca 1880s-1890s, several bearing the mark of noted battlefield photographer W. H. Tipton. Also includes a copy of John B. Horner, Essential to a Nation’s Life: The Story of Drs. 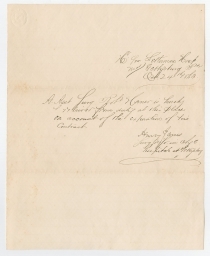 Charles and Robert Horner of Gettysburg. Gettysburg, PA: Horner Enterprises, 1997. 90 pages, illustrated, telling the story of physician brothers before and after the battle. Robert Horner (1825-1899) attended Pennsylvania College from 1842 to 1845, and graduated from the University of Pennsylvania Medical School in 1849. One of the few local physicians, he and more than 30 other surgeons were posted to Camp Letterman to treat nearly 1,600 patients, roughly half of whom were Confederates. 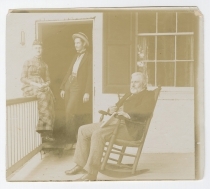 His wife, Mary Ann Horner, served as a nurse. 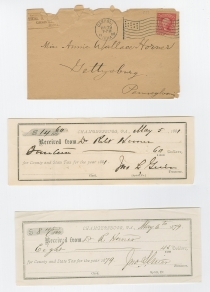 In 1864, he opened a drugstore in Gettysburg, but returned to his medical practice in 1869. He died on July 1, 1899, the 36th anniversary of the first day of the battle. 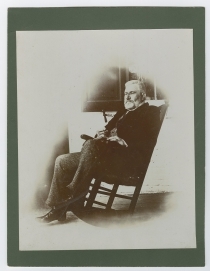 Dr. Henry Janes (1832-1915) was the regimental surgeon of the 3rd Vermont Infantry from June 1861. 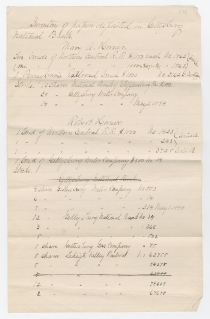 He was detailed to run two hospitals for the Antietam wounded, then was appointed medical officer of 2nd Division, VI Corps. After the battle of Fredericksburg, he went under flag of truce across enemy lines to treat and repatriate wounded Union soldiers. Janes traveled with VI Corps to the battle of Gettysburg where he treated soldiers of both armies at the sprawling hospital complex named after Dr. Jonathan Letterman, Medical Director of the Army of the Potomac. When the Army left to pursue Lee, Letterman put Janes in charge of all the hospitals at Gettysburg. Faced with caring for more than 20,000 wounded soldiers, Janes constantly strove to improve the medical service, including work on procedures for treating major gunshot wounds besides amputation, saving the lives and limbs of hundreds of soldiers.